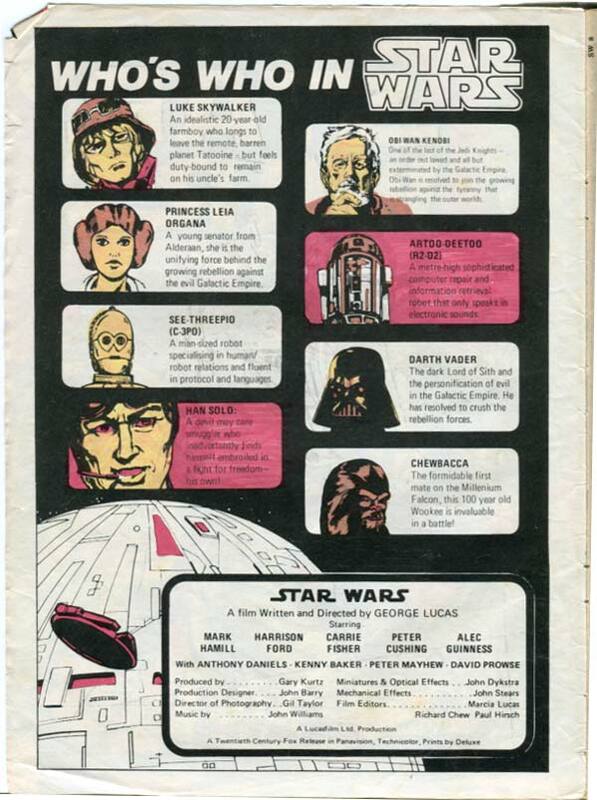 Read a kid’s 185 page Star Wars comic adaptation. 2 can play that game! Pages with grown-up colour! new pages to fill-in gaps. Kenny Baker, Garrick Hagon, Paul Blake & more! 072: Han Shot First. Here’s the proof! c.1978/79 | age 10/11 (Autographed by Paul ‘Greedo’ Blake—Apr 2011) “Give me the money. ‘Greedo’. And… Proof, from the Biros of Babes. Here it is: the truth! Han shot first! He did. And on the opening day of ‘The Force Awakens’ no less! Straight to you, right now, from 1978! —via the ball-point plastic pen of a 9 year old! There’s no denying this George. 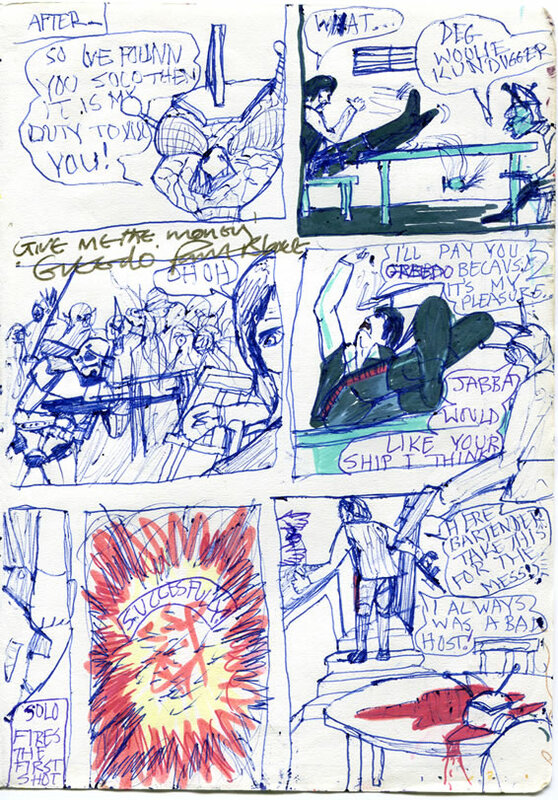 Yes, it’s one of the most exciting scenes in the film – but reduced to 1 page! How often must school kids have re-enacted this one? But it’s the most controversially altered scene of the Special Edition version. “I don’t have it with me…” Great delivery! I always loved this scene—especially the way Harrison Ford reaches back and picks idly at the wall behind him, feigning indifference toward Greedo. Ford made such an entertaining debut in these cantina scenes. Can you imagine what the film would have been like without him? Even my dad—of all people—once remarked “Oh yeah! —that Han Solo fella was great in it, wasn’t he?” I can tell you now, that that is high praise indeed! Yep, those Cantina scenes defined Solo’s character in just a few minutes—seconds even. And so, a character in this little film would become legend. An iconic and favourite character of moviegoers. And now he’s back, in The Force Awakens: Star Wars Episode 7! I have him throwing a nut into his mouth. This was a trick that deeply impressed me as a child. My dad’s quite good at it, and now my young son is too (which makes me nervous). 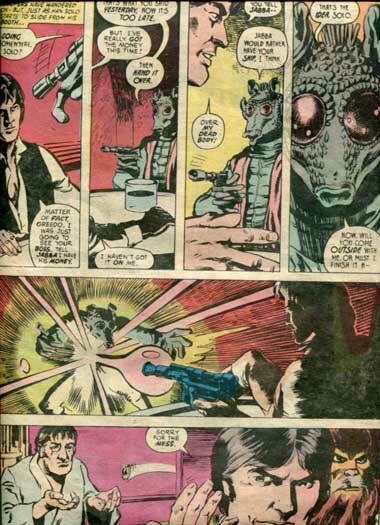 Once more with feeling: Han fecking-well Shot First! This 9 or 10 year old was adamant that SOLO SHOT FIRST. Did you see that George? Bottom left panel. We all saw it didn’t we? How many of you, like me, saw it when you were young? Even in the cinema in ’77? On a great big screen? I did. I was only 9. I got scared watching Hammer Horror films for God’s sake. But was that same 9 year old, horrified? —traumatised? —disillusioned by Han Solo’s action? Was I confused because Solo wasn’t entirely heroic throughout the film? No. The scene was incredibly exciting and memorable, and my Marvel Comic Who’s Who page, described him as a Devil May Care Smuggler. He was also often described as mercenary and even as a Space Pirate (not sure why…) Did that then, simplistically place him in the ‘baddie’ camp of the characters? No, he was complex – and interesting. With the potential to redeem himself. Do you know, in the Radio Drama there’s an interesting scene in which Ben tells Luke that for all of Solo’s posturing he’s not the bad person than he’d have people believe. But we don’t even need that to know that he has potential for good. And even then, aren’t the most sanctimonious of us capable of waiting for the next 60 or so minutes of the film to discover that potential? He returns–risking life and limb—to do the right thing by Luke, the Rebels, the Galaxy and ultimately: himself? Let’s face it. At a basic level, the tampered-with scene no longer works. It’s confusing, lacks flow or excitement. It also just looks crap. The way Han’s head is pushed to one side. Fans should have boycotted the SE versions for this one shot alone. So was the 9 year old shocked and traumatised? Look at the gleeful use of red marker (bottom right) and you have your answer. Once again, this must have been done without even the comic to refer to. Exibit A: my version of Greedo! 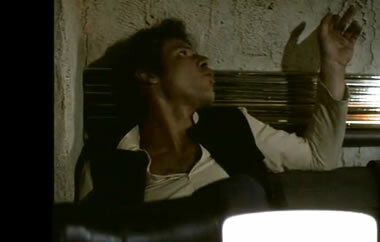 In the Marvel version—which I still mustn’t have seen, judging by my take on it here—Solo shoots over the table. So he was fighting a bit cleaner—but still shoots offensively, not defensively. Solo knocks over a glass—I don’t know why—and with a sideways glance, spots a Stormtrooper who’s still admiring Kenobi’s handiwork. I think that’s one of the dead bodies slumped over a chair, but it’s a bit hard to tell! So what does he do? Stormtrooper in the room? —searching for suspicious characters. Does he try to be low-key? —keep the situation with Greedo quiet and under control? Nope. He creates just about the biggest attention-grabbing spectacle you can think of. BLAM! 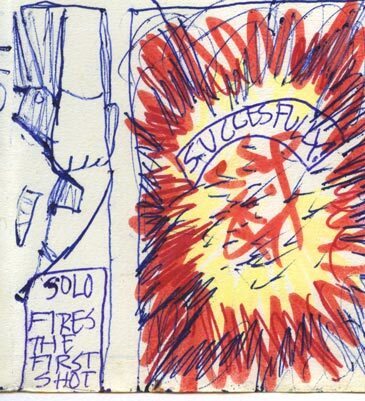 There it is: Han – shot – first. Oh, and afterwards, the Trooper is gone. Stormtroopers, pfft… useless. 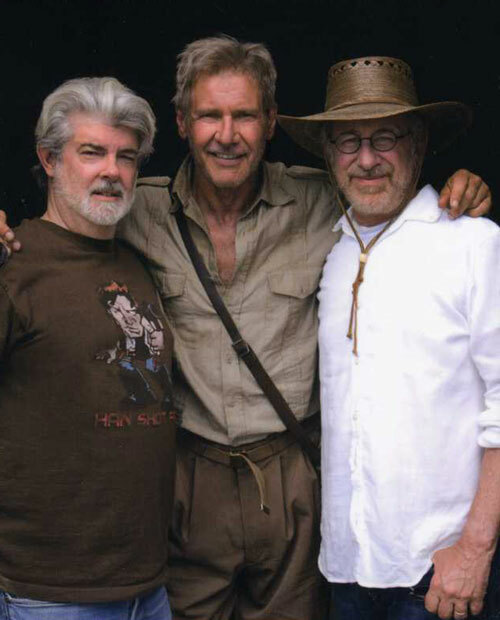 George Lucas, in a ‘Han Shot First’ t-shirt! I love this. It’s so funny and clever. Rod and Leanne of Blue Milk Special had the genius idea when they started the webcomic many years ago to have a young and an old George, sometimes co-existing. Go take a look! So what’s your opinion readers? You can start the discussion below. We see a close-up image of Greedo the alien bounty hunter's face. "So I've found you Solo. Then it is my duty to kill you!" he shouts. In a wide two-shot of Greedo and Solo, Solo blurts "What..." (for some reason) and he knocks a glass off the Cantina table (for some reason—because he's been startled?). Greedo cuts him off with, "Deg woolie kundugger" pointing a gun at Solo. Another wide shot of the cantina, over Solo's shoulder. Solo's face is just inside shot. He looks nervously sideways at a Stormtrooper who appears to be looking at the customer who was killed by Ben Kenobi, earlier. "Oh oh" says Solo. Over-shoulder shot of Greedo now, and we see Solo nonchalantly leaning back and throwing a nut into his mouth. He says, "I'll pay you Greedo, because it's my pleasure." "Jabba would like you ship, I think." replies Greedo. We see a blinding explosion of blaster fire. In an over-shoulder shot of Greedo once more, we see Greedo now dead, face forward on the table in a big pool of dripping blood. Solo has walked up the steps toward the Cantina exit, and pauses briefly to flip a coin to Wuher the bartender. "Here bartender, take this for the mess" and adds "I always was a bad host!" Wow – awesome and action-packed! Interesting perspective Neil. You might be right – maybe that’s how I recalled Solo putting his head back after only one viewing – to swallow a nut. It’s funny, the more I think about Ford’s performance – it seems almost a precocious delivery. And a bit flirty (weirdly). “I don’t have it ‘with’ me…” mock indifference, slightly babyish tone. 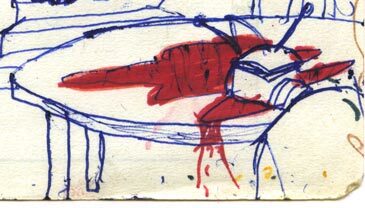 Ok, I LOVE the gore in the last panel…the flat head smashed into the table for lack of a face any longer and the blood and gore leaking out over the table! LOVE IT! 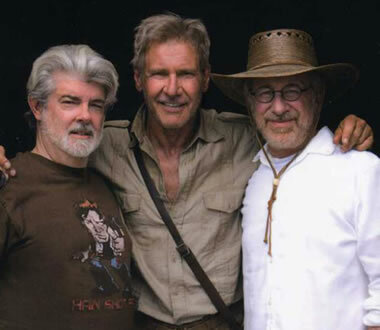 If only Greedo’s ricocheted shot had hit master Lucas right between the eyes. then we’d have been spared this 1990s rethink. Pssst: I know George is watching all of this and wants to give me a job as art director at the ranch. Now, obviously he’s never ACTUALLY said this to me but you can sense these things. I’m leaning back and picking at the stucco as I read these comments. It’s addictive! Plus, it makes me seem cooler than I actually am. Hi ‘guest’ – thanks for dropping in.